Thanks for checking us and our triangle sail shades out! We offer high-quality sails for quick delivery. We can ship anywhere in the world, from various distribution points in the USA. 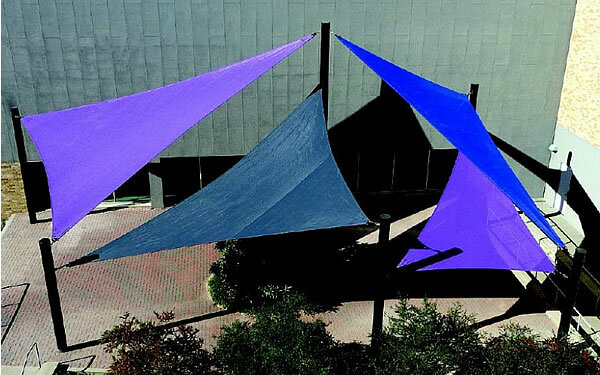 Our triangle sail shades are the quickest, most efficient, and economical way to provide shade in any part of your commercial establishment where you may not have the benefit of natural shade. Why a Triangle Sail Shade? Like powerful kites, these sail shades cast long shadows over a commercial playground. 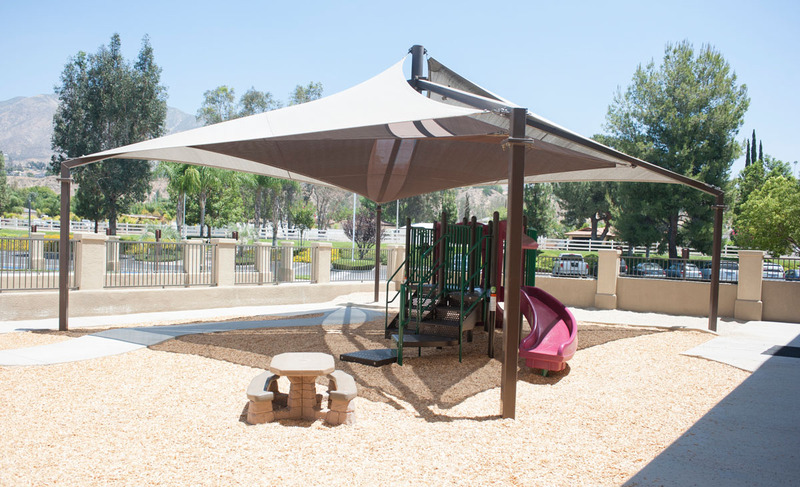 Triangle sails are ideal for playgrounds, parks and rec areas, and more. 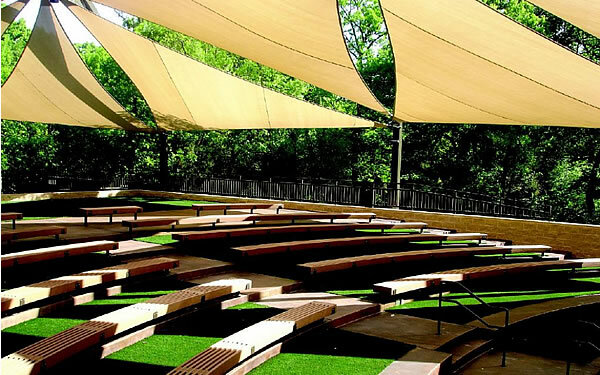 Constructed of high-density polyethylene weave fabric, they block 95% of the sun’s dangerous UV rays while “breathing” to allow air to circulate and keep the environment underneath much cooler. The sails’ breathable design also allows water to filter through. The triangle canopies won’t rot, mildew or mold. The perfect accessory for playgrounds and picnics on hot summer days. Triangle sails boast breathable fabric construction for significant temperature reduction to create your own shady oasis. It’s easy to install and clean off with the hose for the utmost in convenience. The triangle shades block up to 90-percent of UV rays. The breathable fabric results in significant temperature reduction underneath the triangle sail. Made from UV stabilized extra heavy fabric, it could be the perfect option for you and your outdoor area. We have been in the business of selling shades and other playground equipment since 1986. 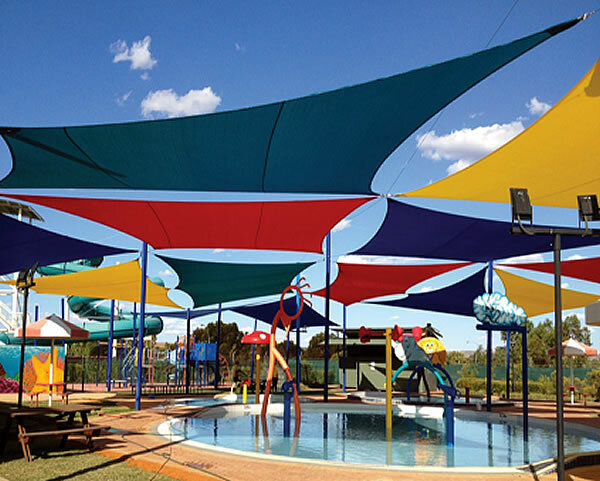 We have seen sail shades become an important component of any playground and other outdoor spaces in recent years — and for good reason — and have encountered, and overcome, nearly every complication out there with installing triangle sails. We also have a great relationship with the manufacturers, so if there are any specifications that you want to be included in the triangle shape size or color that you are looking to purchase, we will be able to help you make it happen. Give us a call at (877) 840-0707 to find out more details about your options. 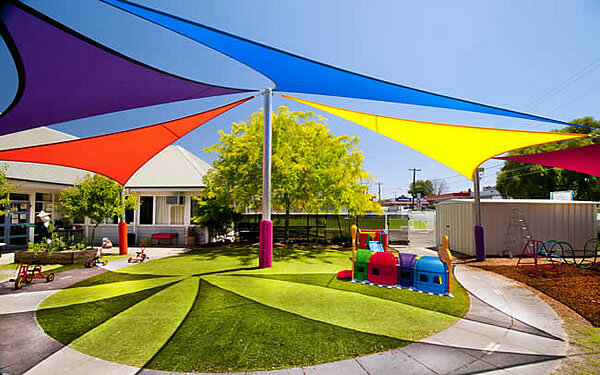 Click here to see our gallery of other playground shades. Click here to see our square shades and other sail shades.